I’m the co-founder of an unknown software company. I don’t have aspirations of being some widely known madman genius that develops massively popular products. I don’t dream of Ferrari, jets and hookers. I want to know my users, I want them to know me and feel like they can email me with questions anytime. I want to work with Steven Bristol until the internet goes away and it’s replaced with microchips in your brain. Then Steve and I will find some other business to build. I want to stay inspired and continue to work with amazing people. I want our company to invest in people, artists, craftsmen, people with passion. 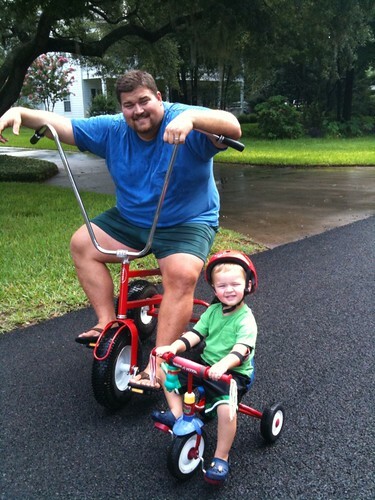 I want to ride my bike with my kids to school in the mornings and play with them in the late afternoon. My goal is to embarrass them because I’m awkward and weird. I want to take more vacations, buy an RV and nomad around the US. I want work when I feel like it, not because I have to. I don’t want to build a company that has no flavor, no passion and is a lifeless machine. I want a company that people either love or love a lot. I am the co-founder of an unknown software company, I work too much, I am stressed and I can’t imagine doing anything else.